With an alias as unassuming as the producer JOE, you would expect a figure who remains outside of the limelight, and is sparing with their output and live performance. This is true for the most part. What you wouldn’t expect, however, is the absolutely raw and powerful emotion he instills in his music, through unrelenting and decisive percussion, drenched, tastefully, with atmospheric splash and colour. Some of his tunes are completely devoid of any melody at all, but still remain vibrant and engaging through the choir of rhythm. His last 12” released with Hessle Audio came in 2010, and it wasn’t until earlier this year that Joe saw his name on another piece of wax. This time he’s paired up with Untold’s Hemlock Recordings, and it is evident he has been working on fine tuning his stylistic choices and intent. Tracks have slowed down quite a bit, and there has been an embrace of a sound flecked with the funk and soul of the disco era. His newest track, R.E.J. Bit, which was probably first glimpsed by many on Pangaea’s masterpiece of a mix for Resident Advisor, is all about that sunshine and light, and has a stomp reminiscent of disco like no other track Joe has created. The intro is laced with a tantalizing vibraphone lick that is adequately haunting and angelic, and will be stuck in your heard for days, guaranteed. A superbly executed bass line flirts with the melody for 16 bars of the intro, until it almost drops, but is masterfully held back for another 16, emphasizing the importance of foreplay and suspense in dance music. The whole ride is bliss, and full of surprises, and will surely be stuck, happily, in the brains of listeners for the next bit. R.E.J. 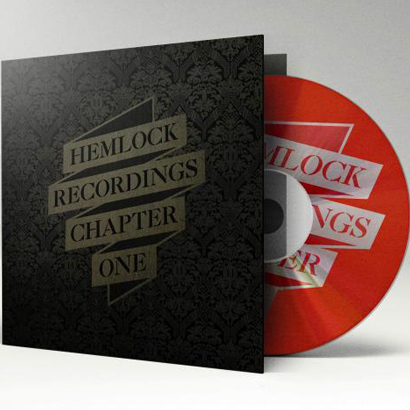 Bit will be released on Hemlock’s Chapter 1 compilation November 12. Future Classic: Kings Go forth "The Outsiders Are Back"